I’m a monster about time management. I’m always worried I can’t possibly get all of my errands done before I have to go to work or an appointment. Somehow today I managed to squeeze in everything, mainly because I really wanted to celebrate my self-initiated Ramen Week. 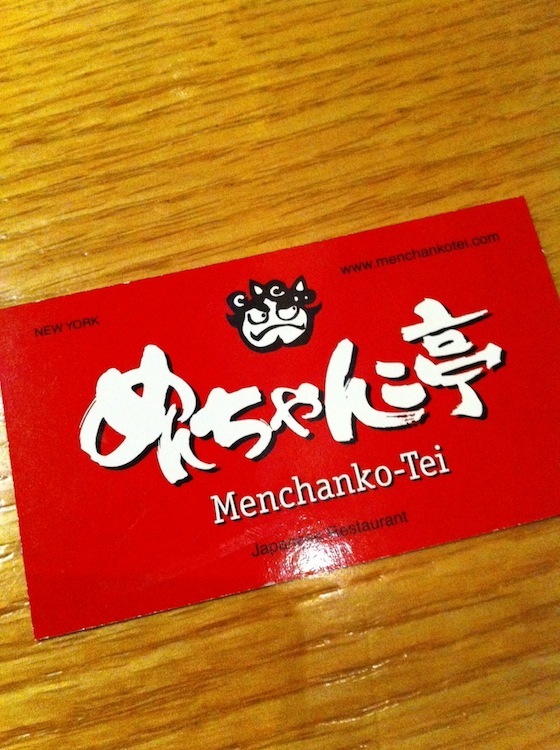 I had a super-fast lunch at Menchanko-Tei on E. 45th Street for a Hakata Ramen lunch set. 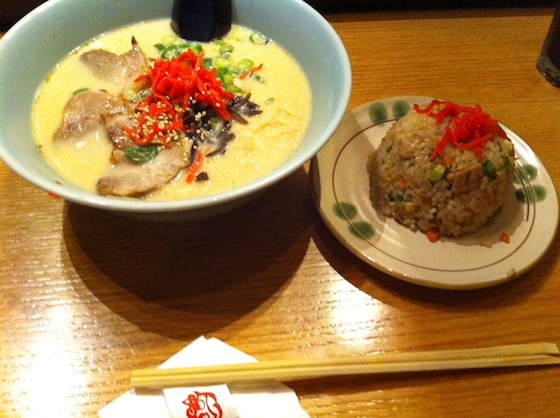 Hakata ramen originates from the region of Fukuoka in Kyushu. The broth was made of pork bones, and it was light in color and not too oily. The noodles were thin and curly and were topped with sliced pork, black mushrooms, ginger, scallions, and sesame. The set came with a side of chahan (fried rice). I was amazed at how quickly the meal was served and the turnover of customers. (Partly because I’ve never had a regular, everyday office job with only an hour for lunch.) Hope everyone enjoyed day two of Ramen Week! Did any of you have ramen for lunch?